Following the 1981 paper, "Aerodynamic Characteristics of Seven Symmetrical Airfoil Sections Through 180 Degree Angle of Attack for Use in Aerodynamic Analysis of Vertical Axis Wind Turbines", Sand80, by Robert E. Sheldahl, et. al., I analyzed the NACA 0012 in MultiElement Airfoils at various angles past stall. The following picture shows the results of the analysis superimposed on a graphs from the Sandia study. 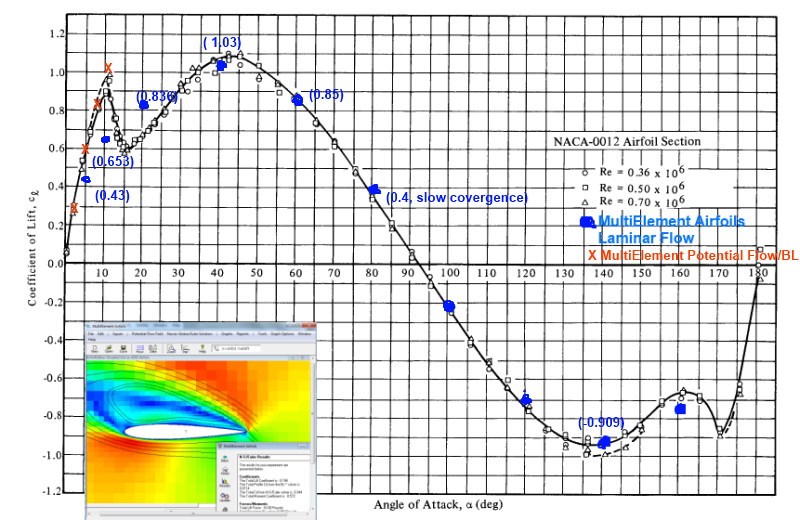 Analysis of a NACA 0012 airfoil through 180 degrees angle of attack. 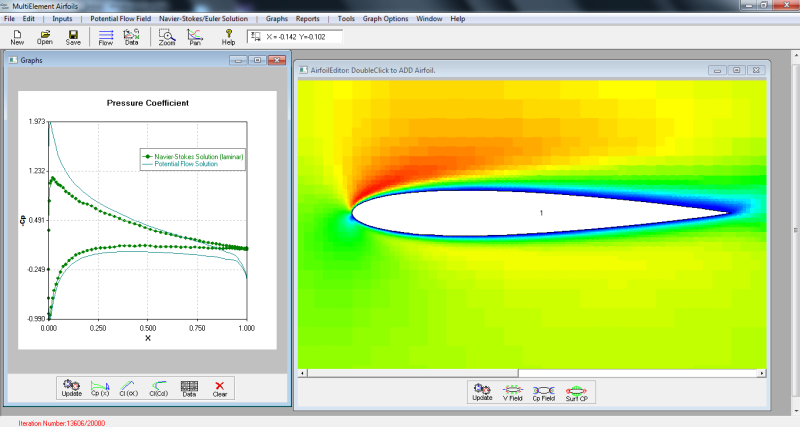 The blue dots are the Navier-Stokes solution in MultiElement Airfoils. The red Xs are the potentialflow/boundary layer solution. 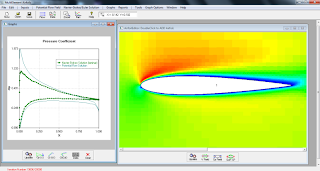 For the analysis, I used the laminar Navier-Stokes solution setting in MultiElement Airfoils. The software is based on a Cartesian grid methods (ghost cell approach for the boundary conditions) and has a variety of flow solvers. 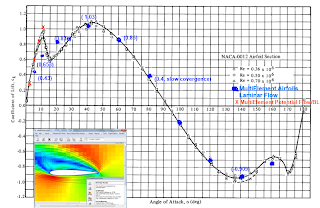 The following picture shows the flow at 5 degrees angle of attack.